What fact about yourself would really surprise people? I have never had a job and have been running my own business since I was 18. How do you work through self-doubts and fear? I recognize that fear is a natural feeling before we do something we haven’t done before. But with time, the more you do something, the more competent you get. The More competent you get, the more confident you become. What scares you the most? Being the same person I was yesterday. I want to constantly improve and get better everyday, stagnation is what scares me. What makes you happiest? Achieving my full potential and seeing others achieve their goals. Why do you write? I write because there is a sea of information out there and my goal is to handpick the information that brings the biggest change in people’s lives. Have you always enjoyed writing? No, I was never a writer until recently. This was more a book I wrote for myself to prepare for success and now I share it with others. These same keys helped me achieve success in my life and now I wish to share it with others. What motivates you to write? What motivates me is seeing transformation in others. What writing are you most proud of? .I am most proud of my book Prepping for Success: 10 Keys for making it in life. What are you most proud of in your personal life? What I am most proud of is that throughout my chasing success, I Never compromised with my integrity. What do you hope your obituary will say about you? He came, He transformed, He was true to himself and his values. How did you develop your writing? By simply putting ink to paper and writing, I think people complicate it too much, they try to get the perfect book or the perfect writing style, in so doing they become just like all the other books out there.Rather then write as you feel and letting your true self shine through. What is hardest – getting published, writing or marketing? Writing is honestly the hardest since it involves us getting In touch with our feelings and then letting it out on paper/ For most people, Getting Started is the hardest part. Do you find it hard to share your work? Not Really I freely share my content on my social media accounts. Is your family supportive? Do your friends support you? Yes they were supportive throughout the process and encouraged me to write. What else do you do, other than write? 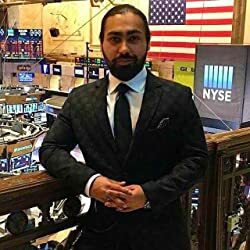 I am a Entrepreneur, I own multiple businesses as well as trade the stock market. What other jobs have you had in your life? I have never worked for anyone else or had a job, have been an entrepreneur since I was 18. If you could study any subject at university what would you pick? I went to university for Business and management, that is something I would always pick again. However if I had another chance, I would be interested in psychology or philosophy. If you could live anywhere in the world where would it be?New York and that is exactly where I live today. Tell us about your family? I have 2 sisters. My father and mother. How do you write – lap top, pen, paper, in bed, at a desk? I originally recorded the book in audio and then put it on word document on a laptop. Is there anyone you’d like to acknowledge and thank for their support? I would like to thank my followers on social media for their constant encouragement, without them I would not have been able to get the book out. Every writer has their own idea of what a successful career in writing is, what does success in writing look like to you? Successful career in writing is that the person reading your book enjoys it and then actually uses the information to better their lives. It is vital to get exposure and target the right readers for your writing, tell us about your marketing campaign? I usually market through social media channels like My instagram @DeltaNinety and twitter accounts in conjunction with Facebook. Tell us about your new book? Why did you write it? 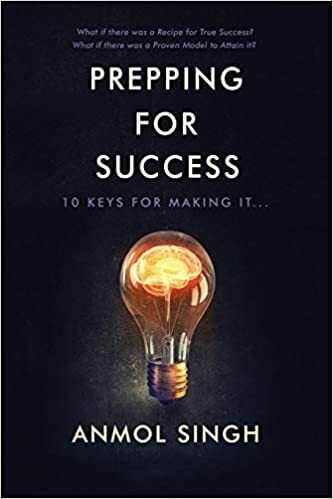 My Book is called Prepping for Success: 10 Keys for making it in life. I wrote a book that I wish someone gave me 10 years ago. Would have made life so much easier. I wrote it because as I prepared for success, they are the 10 keys that served me well and continue to serve me till date. Now I wish to share this recipe for true success with others. When you are not writing, how do you like to relax? I like to relax by going to the spa, massage or simply laying on a hammock. What do you hope people will take away from your writing? How will your words make them feel? I can’t wait to hear about the changes and transformations people make in their lives after reading this book. This is a simple guide to a better you and my sincere hope is to help them achieve true success in each and every area of their lives. Do you have links that you’d like to share for others to read? Are you looking for authors to interview for your blog, please let me know and Iâll be happy to be a guest. Hi Harrison, sure! I’ll be in touch with you for group author interview! What genres do you write? Christian fiction, Mystery, thriller, and I do care a little bit of romance in my novels, but I don’t do that as a whole. I also write a little bit of children section 2. Am I am working on a nonfiction book that’s coming out pretty soon.